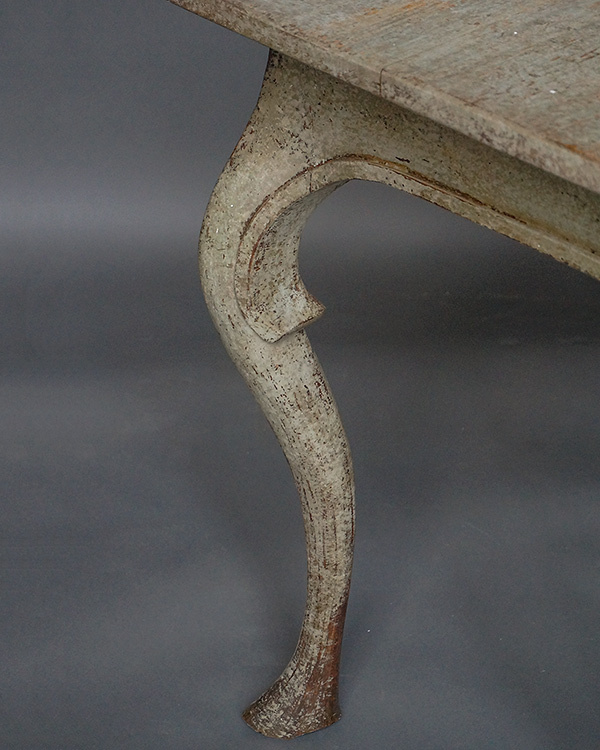 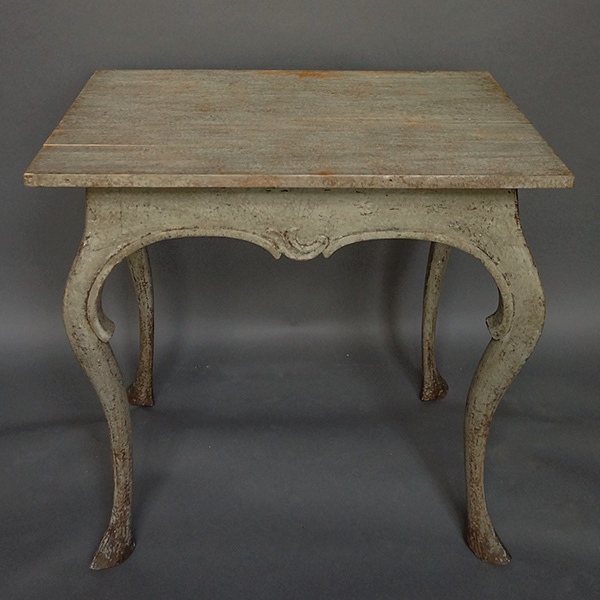 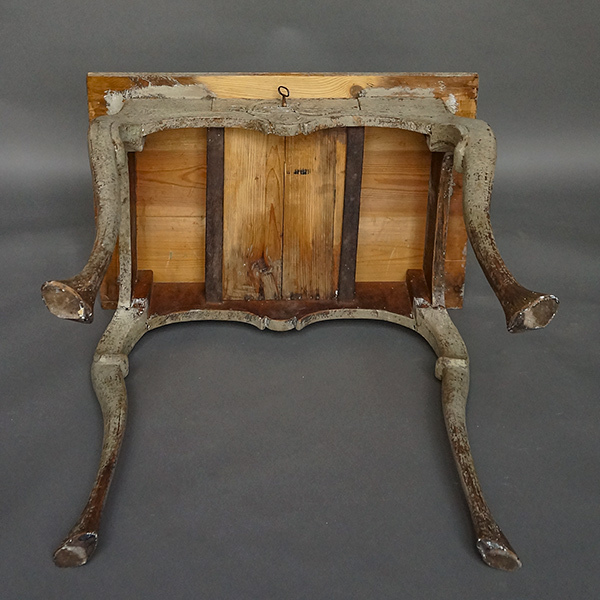 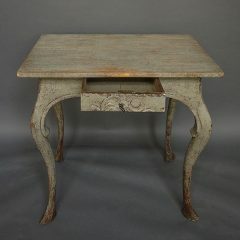 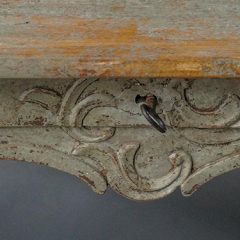 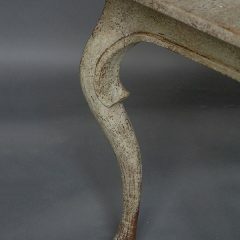 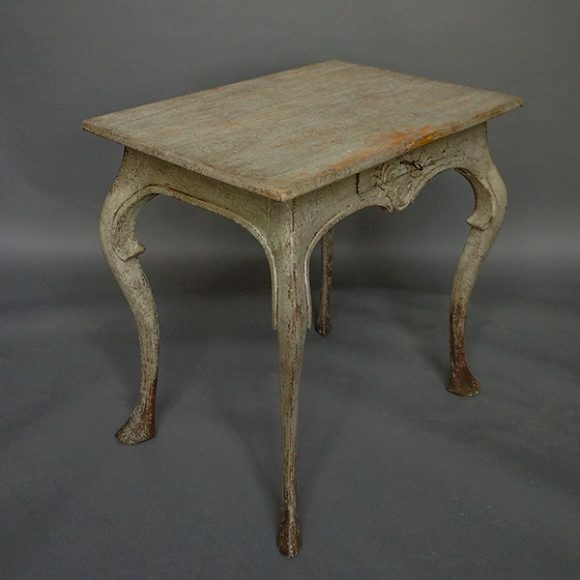 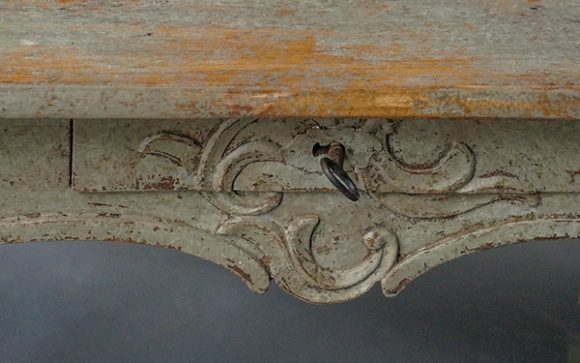 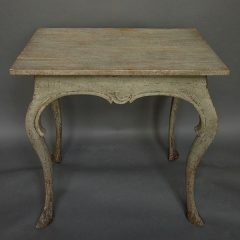 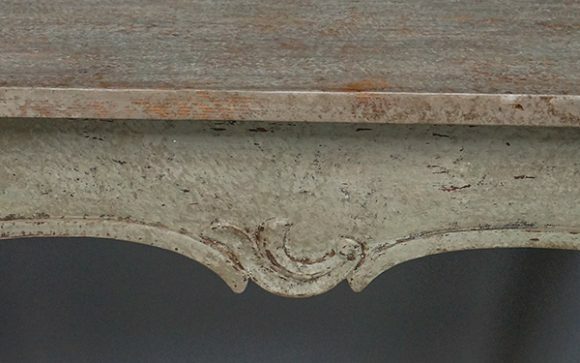 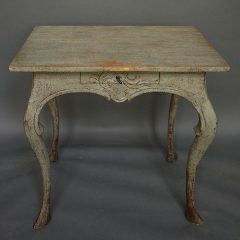 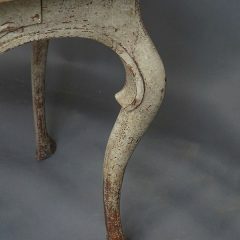 Very early rococo side table, Sweden circa 1700, which retains its original painted surface. 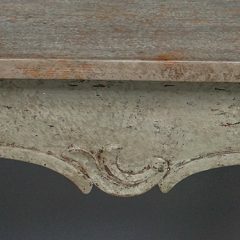 Graceful carving on the front apron spans the single locking drawer. 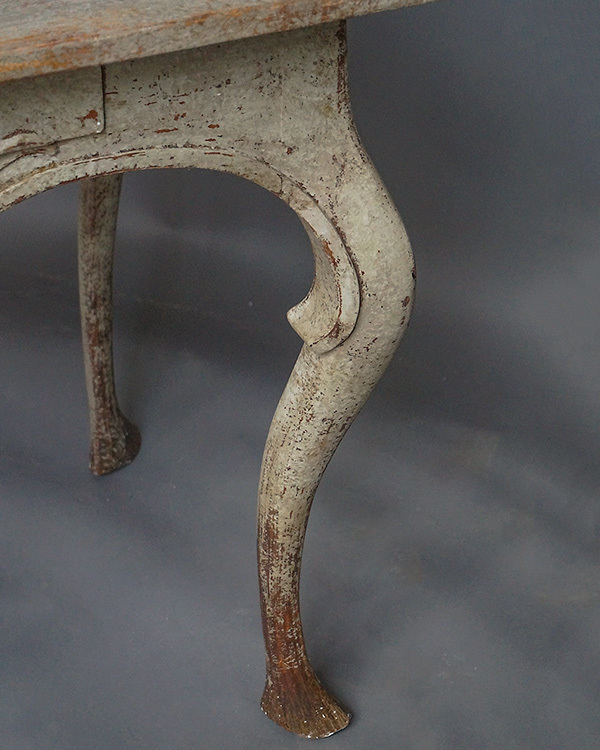 Free standing (finished on all sides).